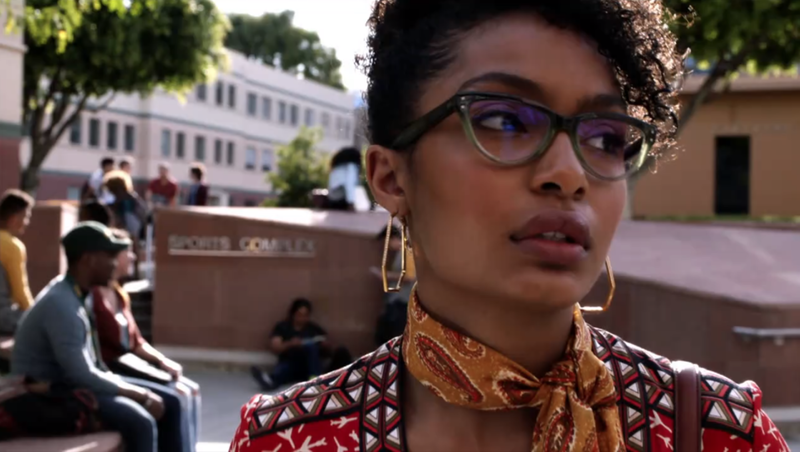 Grown-ish star Yara Shahidi in GRO Eyewear! We are already HUGE Black-ish fans here at Rims & Goggles... So when we got the opportunity to style eyewear for Zoey's (Yara Shahidi) character for her new spin-off show Grown-ish, we JUMPED at the chance. What we didn't expect... is for Yara to look SO DAMN AMAZING in GRO Eyewear's Khaleesi in Jade Gradient. It was made for her, for realz ya'll. Not only is the show hilarious... Zoey's style is bangin'... Watch it, Weds. nights or on demand. Someone sent us our Giphy with Yara wearing our GRO / Khaleesi frame :) So fun!